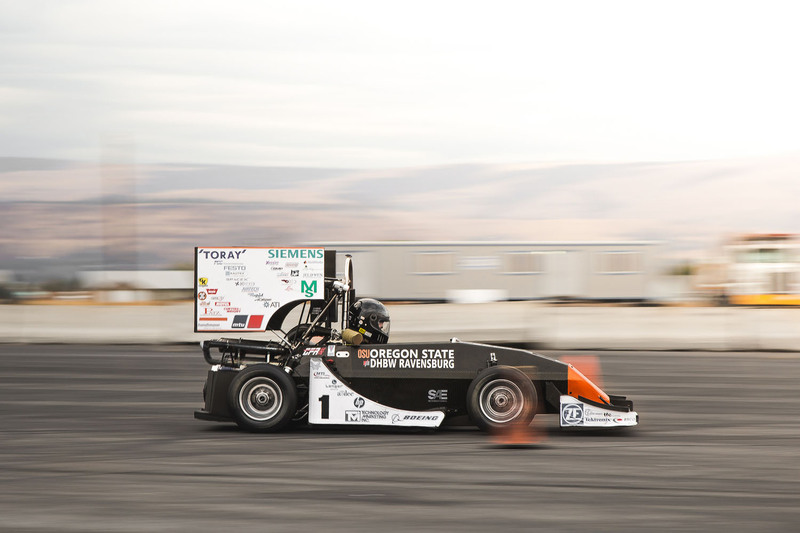 Taking advantage of Oregon’s gorgeous fall weather, the American side of the team at Oregon State University took both the 2014 and 2015 combustion cars for a weekend full of driving and collaboration with the new members in the Dalles, Oregon. With both cars running back to back, many of the new members got a chance to hop in the driver’s seat and experience GFR14c and 15c first hand. 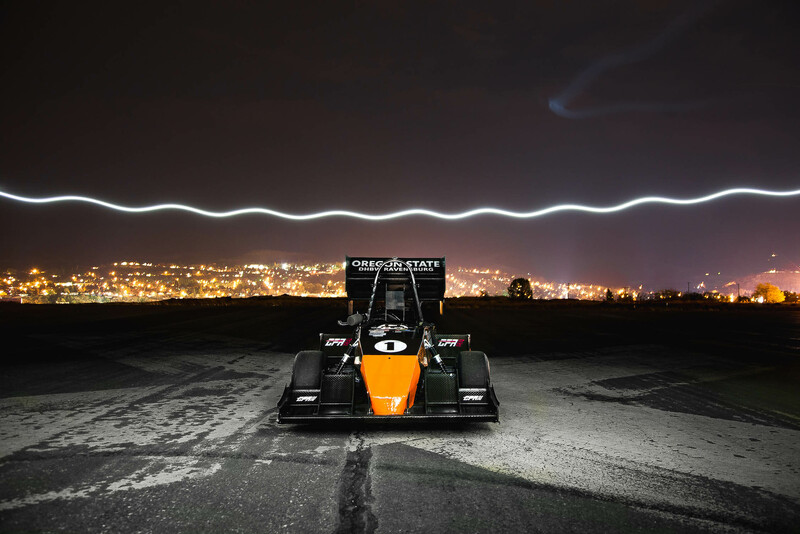 The driving took place on an airport runway at the Dallesport Airport where the team camped out for two nights, making for a great place to put on a photoshoot when the sun went down. 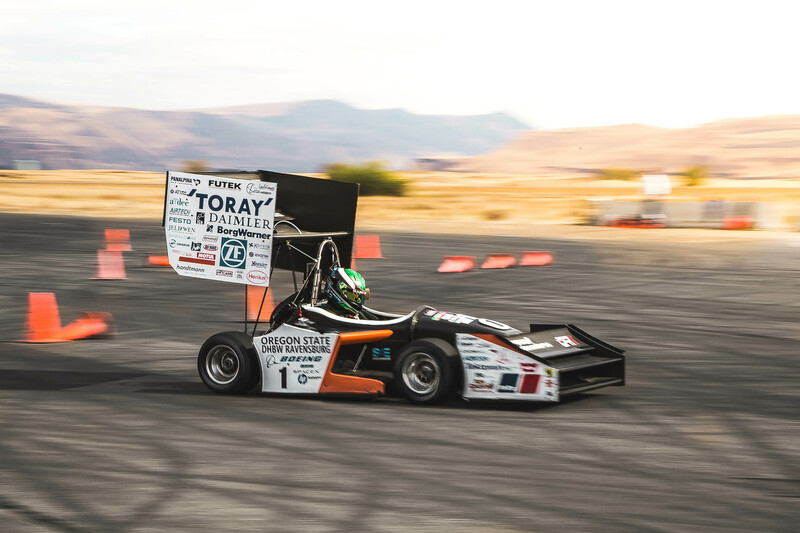 With two full days of driving, team members became conscious of the amount of time and work it takes to have the formula cars running for any dynamic session. 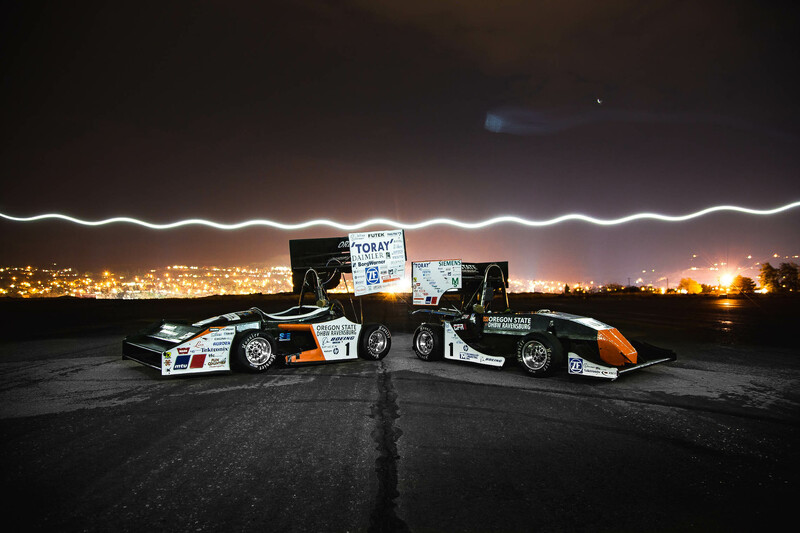 Becoming familiar with fellow teammates and spending time out in the middle of an airport runway made for a productive, lively weekend spent driving a pair of the most successful formula student cars ever built.